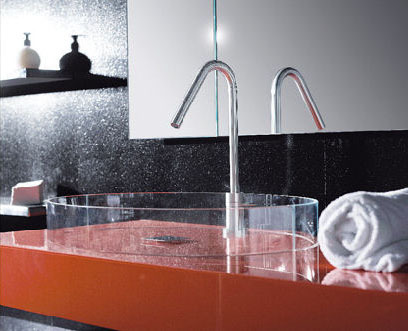 Collection of Creative bathroom washbasins and modern kitchen washbasin designs from all over the world. Crevasseprep Washbasin: The Crevasseprep Washbasin by Kohler comes with integrated garbage disposal and rinse action by a simple button control. 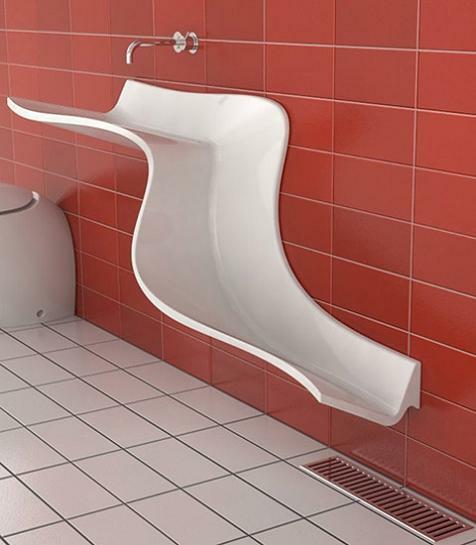 Abisko Washbasin: The Abisko Washbasin from Eumar takes its inspiration from waterfalls of the Swedish National Park Abisko; the washbasin is unfettered by pipes. Pipeless Washbasin: In the regular washbasins we see drain pipes under the basins; but in this innovative design, the water flows along the front of the basin and back into the wall connection, and hence you don't see any drain pipe. 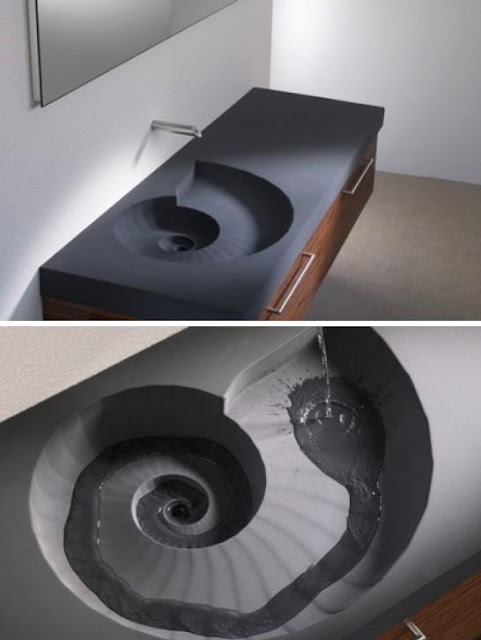 Ammonit Washbasin: Ammonit is inspired by nature; it is made of concrete and has sculptural bottom and the water flows spirally and reminds of a small river. 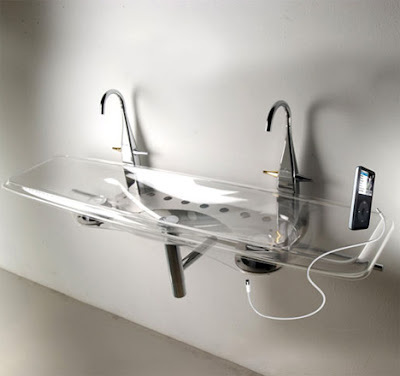 X-Light Surround Basin: Designed by Jan Puylaert, this musical washbasin comes with a built-in amplified speaker system for your iPod. 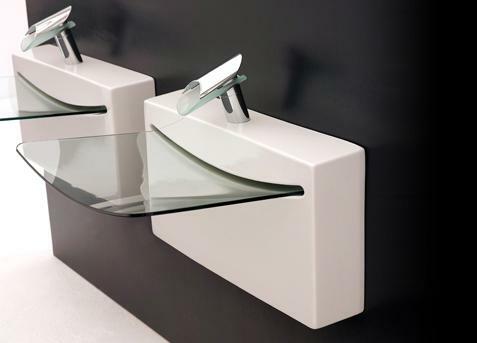 Quartz Washbasin: Luxurious quartz washbasins are made from 93% quartz that is specially processed into a composite suitable for the kitchen and bathroom. 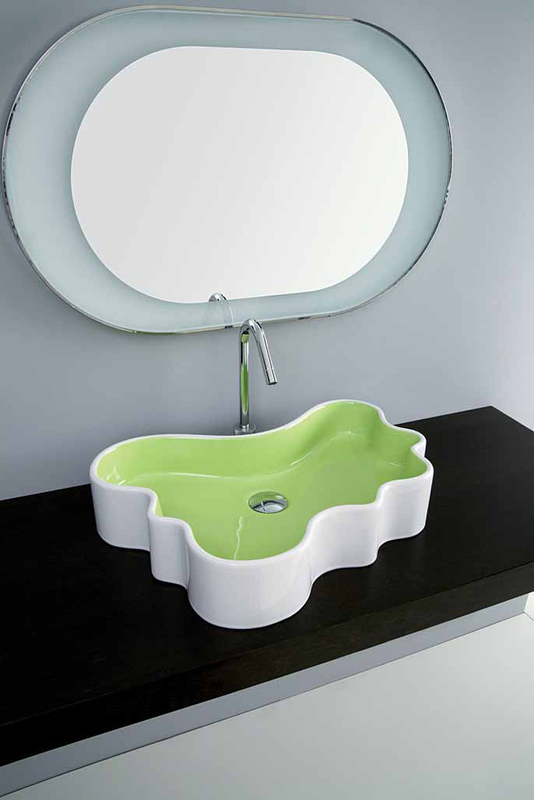 Glass Washbasin: This perfectly symmetrical gorgeous glass washbasin comes from Cogliati-Cogliati. 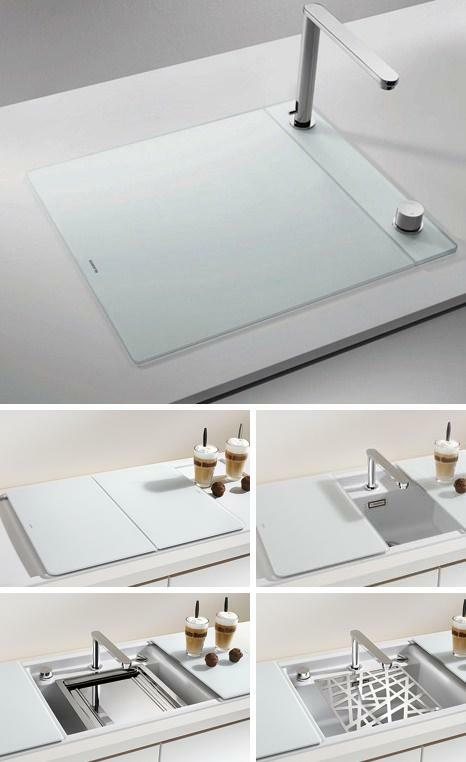 Blancoalaros Washbasin: Blancoalaros from Blanco, is an enclosed kitchen washbasin with movable cutting boards and retractable faucets. Glass Wall Washbasin: The Art Ceram Bathroom Washbasin features a transparent basin and an invisible drain. 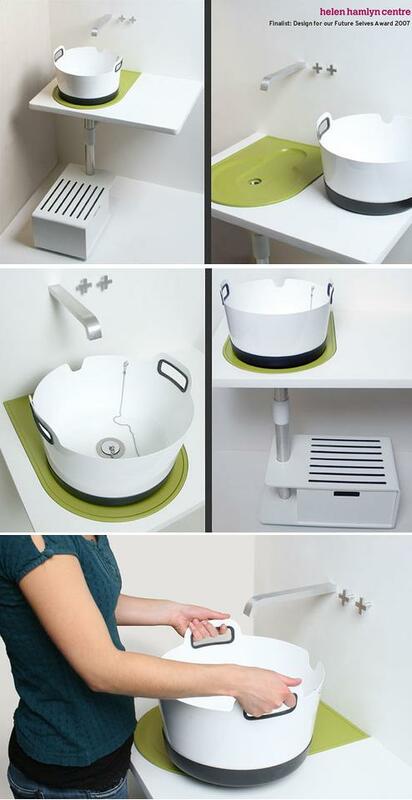 Take-Away Washbasin: With the Take-Away Washbasin by Jessica Nebel, you wont be needing an extra bucket as the basin can be completely moved to somewhere else. 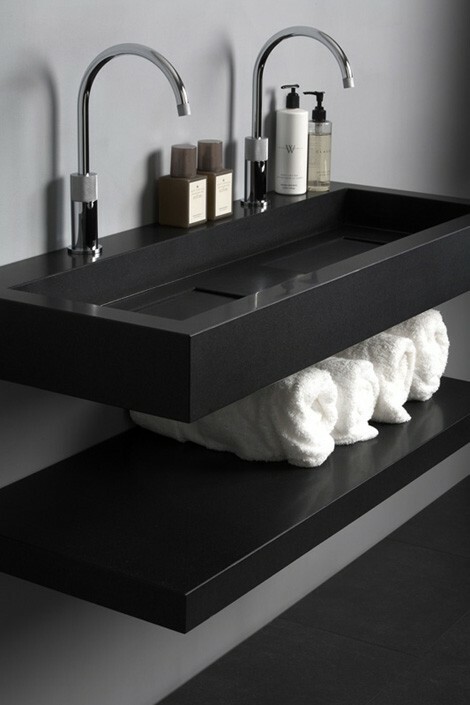 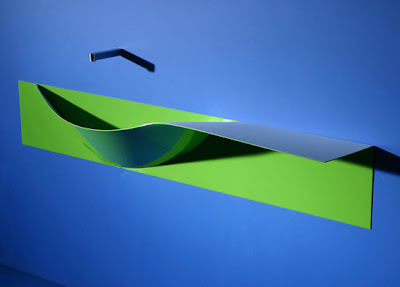 Washbasin "Fresh": This concept washbasin is said to be made from sheet material, that is bent in such a manner that it creates a functional shelf for towels, toiletries, and cosmetics. 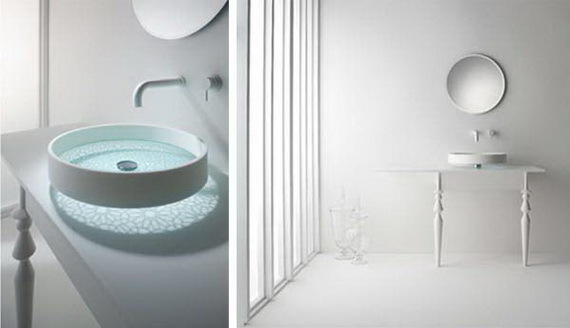 Glowing Bathroom Washbasin: The basin come with incorporated internal lighting that provides a soft glow to the basin. 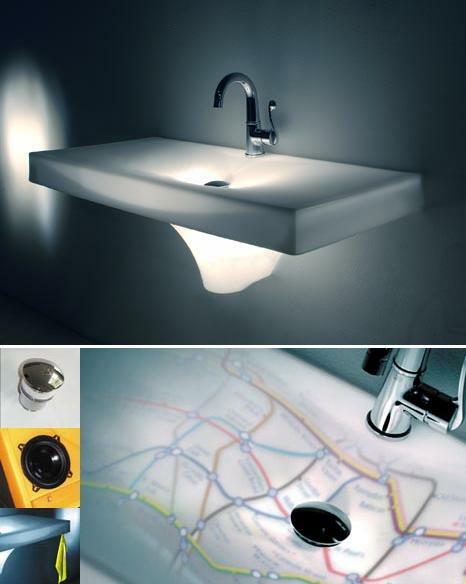 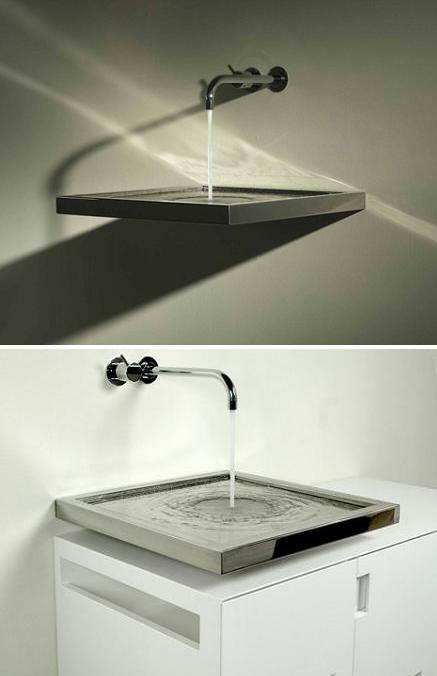 The glow can be further customized with the addition of a small static projection screen allowing messages or artwork to be projected onto the basin surface from the inside. The experience is further enhanced beyond the visual when the internal amplified speaker system is connected to any CD or MP3 source. 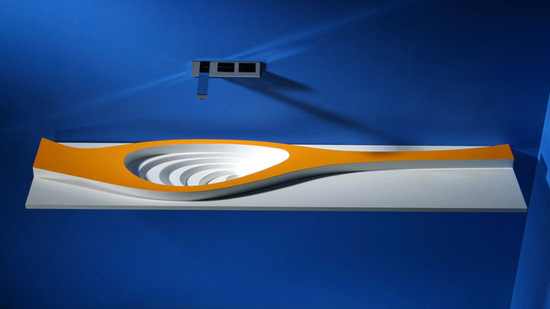 15 Creative Bookshelves and Unusual Bookcases - Part 9.